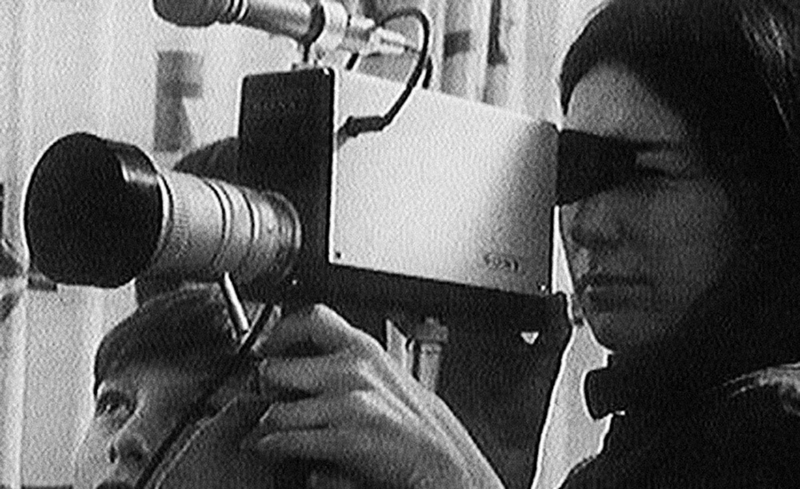 Between 1967 and 1980 the National Film Board of Canada spearheaded a social activist documentary initiative placing film skills into the hands of the people to tackle poverty, environmental, first nations and women’s issues. Government bureaucrats, documentary filmmakers, community activists and citizens defined a participatory model of filmmaking by putting the media into the ‘hands of the people.’ Positing the potential of a new public voice, film was asserted as the medium of social transformation. Artist Jacqueline Hoang Nguyen has excavated the archives of the NFB, re-presenting the seminal Challenge for Change/Société nouvelle program in five selected programs displayed within the gallery at Mercer Union, as a toolbox for the future. On the occasion of this exhibition, we will host an afternoon discussion on the CFC/NS program with key guests Amy Fung (Images Festival), Brenda Longfellow (York University), Jacqueline Hoang Nguyen, Krista Belle Stewart and Ezra Winton (NSCAD University/Cinema Politica). What potential does film have for social transformation? What role can film play in participatory democracy? What are the modes of exhibition and distribution? Amy Fung is a cultural writer and organizer currently based in Toronto. Her writings on contemporary art and film have appeared in various journals and publications nationally and internationally. As of Fall 2014, she is the Artistic Director of The Images Festival. Jacqueline Hoang Nguyen (b. Montréal, CA) is a research-based artist currently based in Stockholm (SE). She completed the Whitney Independent Study Program in 2011, obtained her MFA and a post-graduate diploma in Critical Studies from the Malmö Art Academy in 2005, and a BFA from Concordia University, Montreal, in 2003. Recent solo exhibitions include; The New Gallery, Calgary (2015), MAI (Montréal, arts interculturels), Montreal (2014), Momenta Art, Brooklyn (2014); Kunstverein Braunschweig, Braunschweig, Germany (2013); VOX: Centre de l’image contemporaine, Montreal (2012) and group exhibitions such as MTL BNL, Montreal; A Space, Toronto (both 2014), Apexart, New York; PAVED arts, Saskatoon; Or Gallery, Vancouver (all 2013), and the Institute of Contemporary Art, Philadelphia (2011). In 2011 she was commissioned by CC Seven to produce a site-specific sound piece for The Woodland Cemetery, a Unesco World Heritage site in Stockholm. Krista Belle Stewart holds a BFA from Emily Carr University and is currently an MFA candidate at Bard College in New York. Her work engages the complexities of intention and interpretation made possible by archival material. Her work approaches mediation and storytelling to unfold the interplay between personal and institutional history. Stewart’s recent exhibition Motion and Moment Always at the Contemporary Art Gallery, Vancouver (2015) marked the first solo exhibition of her work and the culmination of fall 2014 residencies at the Nisga’a Museum and Western Front comprising new works developed in Nisga’a and at her ancestral home in Douglas Lake, BC. She has exhibited in group shows including Where Does it Hurt?, Artspeak, Vancouver (2014), Music from the New Wilderness, Western Front, Vancouver (2014), and Fiction/Non-fiction, Esker Foundation, Calgary (2013). She is a member of the Upper Nicola Band of the Okanagan Nation, and lives and works in Vancouver and Brooklyn. Ezra Winton holds a PhD in Communication Studies from Carleton University, and is currently a Postdoctoral Fellow at Nova Scotia College of Art and Design University where his research and teaching interests include radical and alternative media, social movements, documentary cinema, institutions and culture as well as global cinema and new media platforms. Winton is the co-founder and Director of Programming of Cinema Politica, the world’s largest grassroots documentary screening network, and is a contributing editor at POV Magazine and Art Threat. Recent publications include a chapter in The Documentary Film Book (BFI Palgrave MacMillan, 2013) and Challenge for Change: Activist Documentary at the National Film Board of Canada (co-edited with Thomas Waugh and Michael Brendan Baker), published by MQUP in 2010.
image credit: Bonnie Sherr Klein, Opération boule de neige (1969), film still. Courtesy of the National Film Board of Canada.